Dianne Machesney will present The Bruce Peninsula in June. The Bruce Peninsula in Canada is noted for its many species of orchids, and for alvar (limestone plain) ecosystems. This is an overview of their trip in June of 2013, including flora, waterfalls, and a side trip to Flowerpot Island. About 30 minutes in length, it will spur you to explore the area yourself. 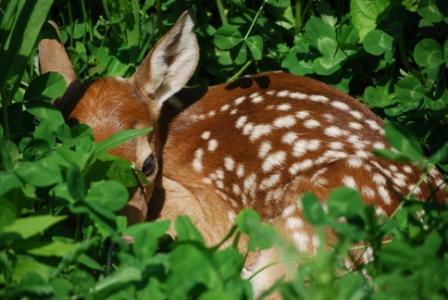 The Wissahickon Nature Club is beginning its new season on September 4 with a wine and cheese reception. Wissahickon Nature Club will provide the wine. 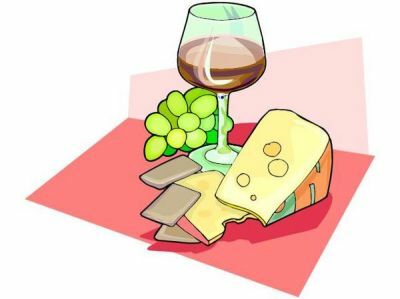 Members will kindly provide hors d’oeuvres or cheese rather than desserts. Please call to RSVP so we know how much wine to purchase. Elaine Mayowski will present Dog Training. Elaine will bring her Shetland Sheepdogs to teach us the basics of Obedience and Agility dog training. 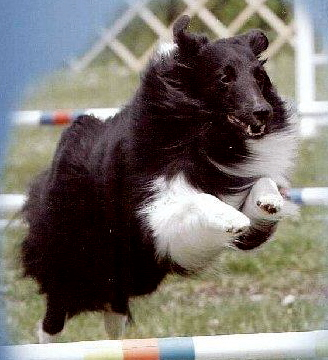 Shelties are comfortable with agility due to their intelligence, speed, and dexterity. Training for agility is one of the best ways for you and your dog to bond and exercise together. Through consistent training, any dog owner will soon notice how the dog is more alert to your day-to-day commands. Harlan Clare will present Fluorescent Minerals. Many common minerals can be fluorescent or glow under an ultraviolet light. Learn how fluorescent minerals were discovered, what causes them to glow, and how we use fluorescence in our everyday lives. Hear how fluorescent minerals helped the United States during World War II. See how fluorescence is used today in forgery prevention, advertising, forensics, optical brighteners, mail processing, and entertainment. Each participant will receive a fluorescent mineral and ultraviolet detecting glow beads. Sarah Lyle will present Spiders. 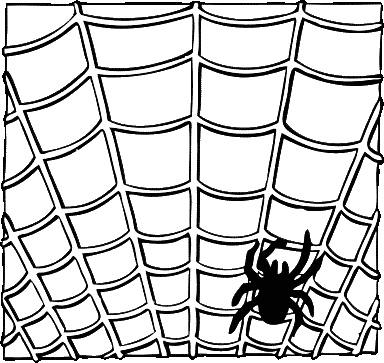 Are you wary about our 8-legged friends? Do you need a new perspective for observing the various types of spiders found in Pennsylvania? Many live and preserved specimens, pictures, stories, and books will intrigue everyone from the spider enthusiast to the cautious. As a special treat, observe the differences between true spiders and tarantulas first hand by handling live tarantulas if you wish. In the spirit of All Hallow’s Eve, it would be fun for everybody to wear something spooky, spidery or Halloween jewelry. Steve Leitkam will present Wildlife, Nature and Natural History. Steve enjoys many aspects of Nature and spends much of his time outdoors. Often he finds himself in search of things many people feel are a bit unusual, and he loves to seek out the often over-looked. Wildlife, Nature and Natural History is predominately what Steve photographs. While he strives to produce images that are aesthetically pleasing Steve will, on occasion, include images of a lesser quality if he feels that the subject or content is of sufficient interest to somewhat overshadow the quality deficits. 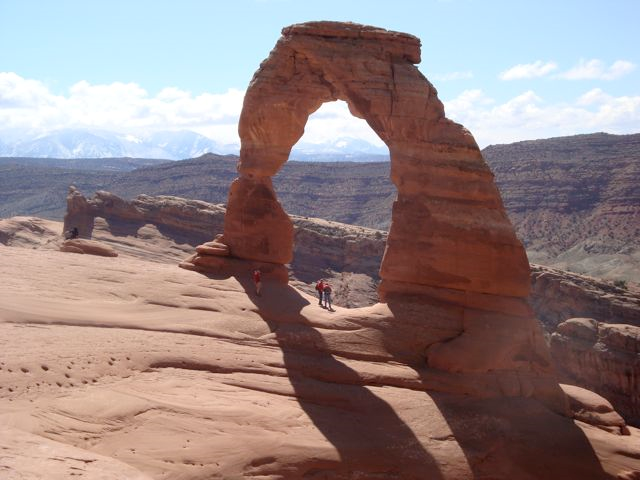 Amanda Haney will present Southeast Utah: a slide tour of National and State Parks. Highlighted will be spectacular rock formations of Arches, Capitol Reef, and Canyonlands National Parks. Scenery of the Colorado River, Glen Canyon, Natural Bridges and Monument Valley will be included. She will also present information about local birds, plants and animals as well as historic residents of the area. Meg Scanlon will present Nature Is All Around Us. Explore Latodami Nature Center in North Park with Meg Scanlon, Interpretive Naturalist. Latodami Nature Center is a sanctuary to more than 500 species of birds, mammals, reptiles, amphibians, and insects. Through her stunning photography, knowledge and experience Meg will edify us about some of the animals and plants commonly found around the nature center. 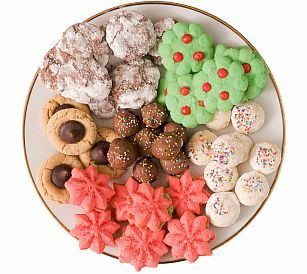 This will be our annual Christmas / Holiday Party and Cookie Exchange. There is no required minimum or maximum dozens of cookies for you to bring. Take home as many cookies as you bring. Bring your friends. This is a great time to introduce new folks to our Club. Glenn Davis and Donna Billings will present National Parks Quest. Glenn and Donna will take us on an arm chair-tour to some of the lesser-known parks. 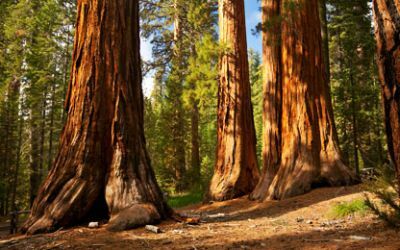 They will entertain us with pictures from four Alaska parks, the Southwest Parks, Congaree, Theodore Roosevelt, Sequoia, Kings Canyon, and a few others. If we twist her arm a little, maybe Donna will tell us about her book Red and Purple Hiking Boots. Bob Allnock will present Purple Martins. Bob has been a Purple Martin landlord for 15 years with 7 of those at his home in Portersville. 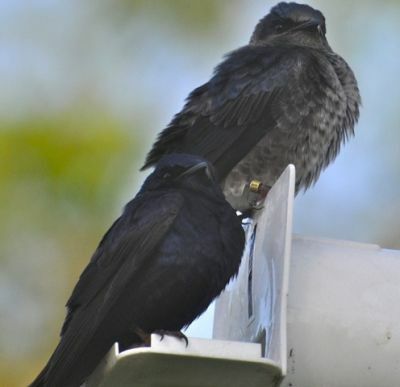 This program will cover the migration, feeding, and nesting habits of Purple Martins. Bob will bring handouts and visual aids and talk about things to do and not to do to attract Purple Martins to your location. Terry Lobdell will present Bats and Bat Houses. Bats are safe and beneficial to have in your backyard. 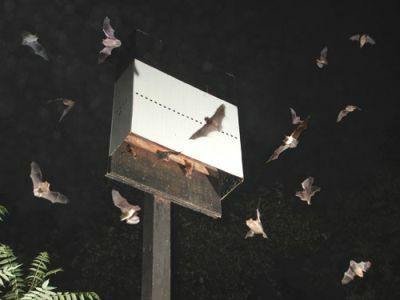 Bat houses provide a safe home for bats and are educational and fun for the whole family. Bats significantly reduce the amount of pest insects in your backyard and help farmers and gardeners by eating insects. More bats effectively reduce the need for pesticides in our environment. Shirley Mutz will present Nature Crafts. Increase your enjoyment of nature by gathering materials from your yard or during your walks to use in making decorations for your own home or to give as gifts. 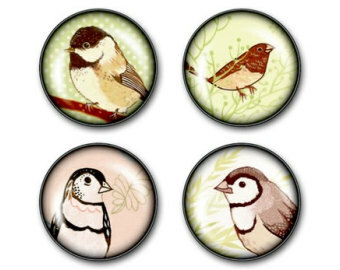 These are wonderful items to sell at church bazaars or craft shows. She will have samples of her crafts for display. Learn how to make your own wreaths, centerpieces, ornaments, note cards, nature printing, and yarn dyeing.